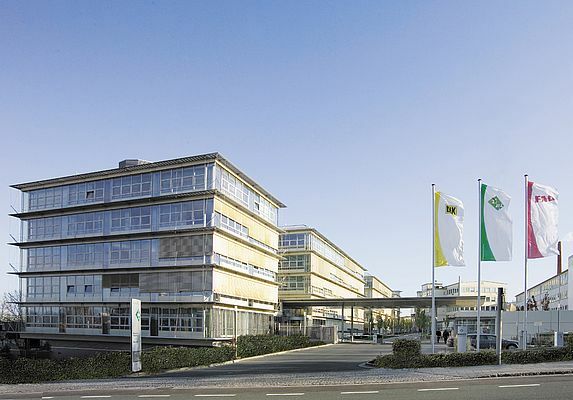 The international technology group Schaeffler increased its revenue to a new record high of approximately EUR 6.0 bn in the first half of 2014. Revenue grew 6.7 % from the corresponding prior year period. Excluding the impact of currency translation, the Group's operational revenue growth was 9.6 %. "Our Automotive business again performed considerably above market in the first half of 2014, making it a key driver of our revenue growth," said Klaus Rosenfeld, CEO of Schaeffler AG. Automotive division revenue increased by 8.9 % to approximately EUR 4.4 bn. At constant currency, the division achieved a growth rate of 11.7 %, again significantly higher than the growth in global vehicle production. The Group's Industrial division reported a 0.9 % increase in revenue to approximately EUR 1.6 bn in the first half of 2014. On an FX adjusted basis, revenue at the Industrial division revenue rose by 4.3 %. The Schaeffler Group's highest growth rate, 25.0 % compared to the first half of 2013, was generated by its Greater China region, followed by the Asia/Pacific region, where revenue increased by 9.1 %. The Europe and Americas regions experienced revenue growth of 5.2 and 1.2 %, respectively, compared to the first half of 2013. Within Europe, particularly the Southern European countries Italy and Spain reported positive revenue trends.